Hi everyone and welcome to week 10 Christmas inspiration with Art with Heart Stampin'Up Team Australia. 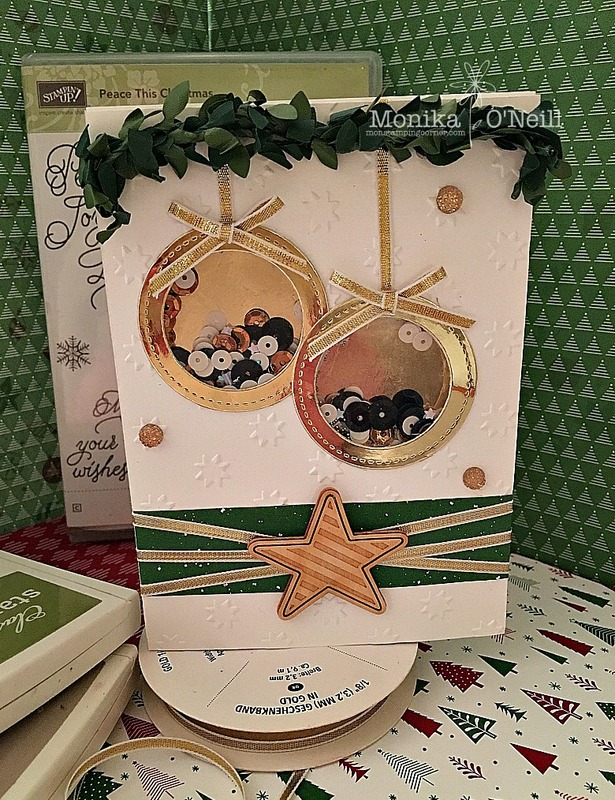 For todays card I decided to make a Christmas baubles shaker card using the Oval Stitched framelits. 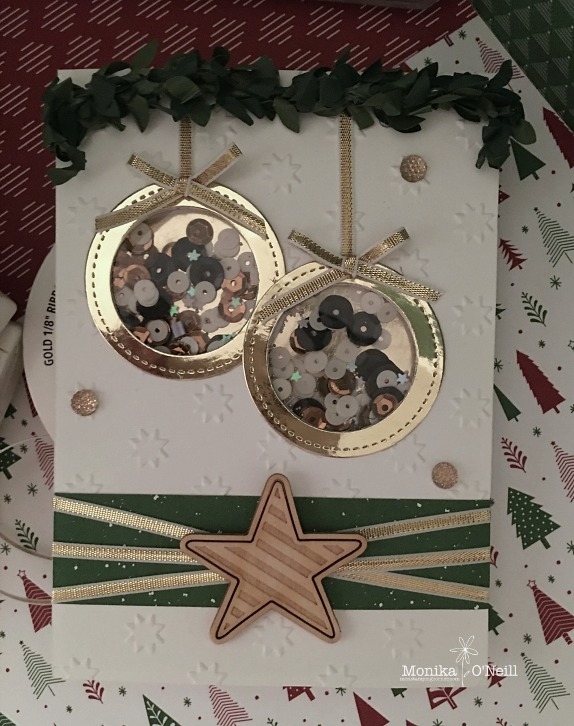 I used Extra Thick White Card stock for the card base and the front mat which I ran through the big shot using the Oh My Stars Textured Embossing Folder after I cut out the circles. On the top of the card I used 2 Boxwood wreaths. The baubles are hung with Gold 1/8 Ribbon and the bows are from the same ribbon. I cut a 1 inch strip of Be Merry DSP and wound gold ribbon 3 times around the card. 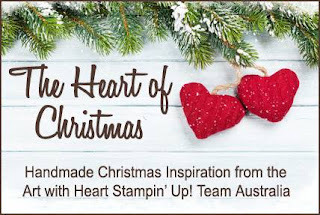 The wooden star is from the Hearts & Stars Elements, then finished of with 3 Gold Faceted Gems. 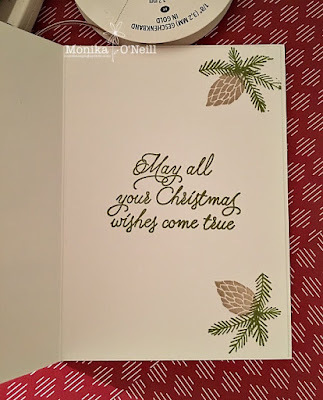 The sentiment and Pinecones are from the Peace This Christmas stamp set and I used Old Olive and Crumb cake Ink Pads.